Np and ty for the upvotes. 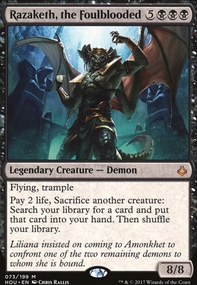 Spectra Ward is typically iffy in Narset lists. It prevents you from getting more auras on her (granted you have a more reliable token supply for valid targets). Does this list make enough tokens to alpha strike multiple players at once? If so, consider Mass Hysteria and/or Ashling's Prerogative . 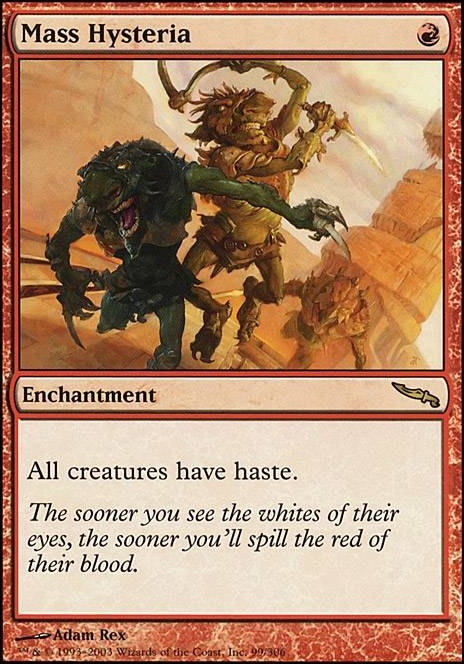 These may be a bit too ballsy outside of an extra turns/combat Narset because they haste your opponents stuff too though. I think I would include Mass Hysteria and either Blind Obedience or Authority of the Consuls , depending on your build. 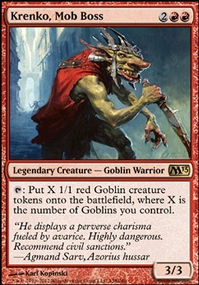 If you're running a budget manabase that wants to play a tapland turn 1, definitely Blind Obedience, since it will allow you to get a little extra damage out of those low-drop aggro creatures the deck is packed with. 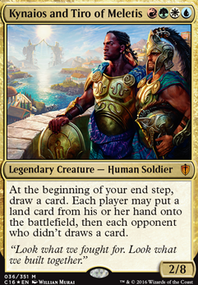 If your mana is solid and you have a lot of 2-drops you want to play on curve, then I would lean towards Authority. 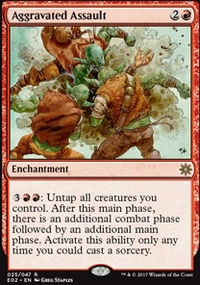 The important thing to me is that you do a split between cards that make opponents' stuff enter tapped and cards that gives your own creatures haste. That way, they stack much better when you draw both. 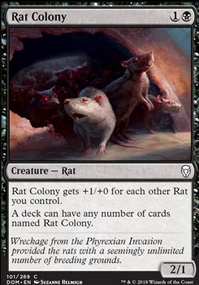 M_Malcom: this deck is mono black, and Mass Hysteria has no interaction with Experimental Frenzy . 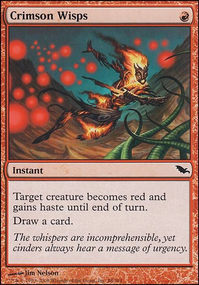 There’s a thing at my LGS we call the Coffee combo, it consists of Mass Hysteria and Experimental Frenzy this allows for a huge jump in power. 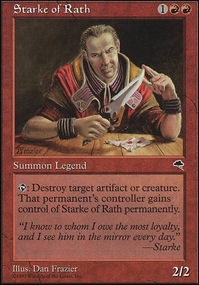 I’d pull Slum lord, catcher and vial for this. This combo allows you to just go and not give your opponent a chance to respond.